Here are some of my favorite friendship crafts links. They include sites, blogs, directories, and other crafts sites that you will find interesting. I'm always looking to exchange links with other great hand crafts sites. The Value Exhange Program makes it really easy to manage and exchange links with similar businesses. Click on the text link above to learn more about it. Start here! This is the place to go when you are learning to quilt. 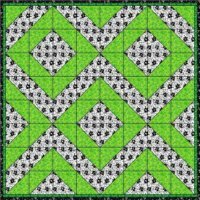 All About Quilts is filled with tips and techniques to help you start and complete your project... lots of free quilt patterns. StormTheCastle.com Lots of fun and creative projects, Downloadable paper projects, paper dioramas,Origami, Tatebanko, Paper games and more. Easy Knitting Instructions For Beginners of all ages! Learn basic knitting stitches with fun and easy knitting instructions from casting on, knit, purl, decrease, increase, ribbing, cable, and binding off. Find many easy patterns for beginners to get your started. Don't wait, Knit now. It's FREE! Learn how to Scrapbook Your Family History. Great information on finding information on your family history so that you can scrapbook your family history photos and great tips on scrapbooking if you already have completed your family history. Where you can find encouragement and practical tips for Homeschooled Preschoolers in life's difficult situations. This site has some fun ways to homeschool preschoolers. 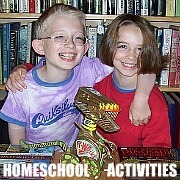 Homeschool-activities.com has some great kids craft ideas. From preschool to recycled crafts and making robots, there are lots of new things to try including making beautiful leaf paper for fall and an ocean diorama in a shoe box. Featuring kids crafts, family fun activities, kids recipes, kids bible tools and more. Your clay art and craft ideas center for kids and adults with clay model tutorials for figurines, kids crafts, personalized gift, cake toppers, etc.